​My art has been found in Christmas Tree Shops! ​So head down to your local Christmas Tree Shop and see if they have any! If you are interested in Licensing my art, please visit the link below to see what is available. You can purchase originals a few different ways.... Originals are available through this website, by clicking on gallery you want to visit. 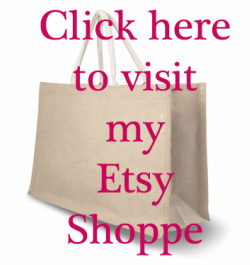 Or you can visit ARTicles in Danielson, Ct, or my etsy shoppe. Please click here to return to shop on this website. Visit ARTicles Gallery in Danielson, Ct, to see my original paintings and many other artisans work, from the local area. Across from the Killingly Library, on Westcott Road. Paintings, prints, shadow boxes, or all subjects available in my shoppe. Commissions typically take about a month from start to finish, sometimes a little longer. Prices are listed below. Most include shipping, larger sizes will not include shipping. A few photographs are helpful, rather than one. Letting me choose view, and image will typically result in a better painting as I can be more creative. I have been commissioned to do house portraits, animal portraits and families at Disneyworld. Please contact me to see what can be created, and peruse my website to see my work. You can purchase large prints of my art, canvas prints, metal prints, shower curtains, pouches like the one shown, and lots more on this website. Click here to visit Fine Art America. ​Visit Overstock.com, for prints on canvases. Put your Prime account to use, and purchase my art with free shipping on Amazon.com! ​ Click here to see what is available. Image kind has some great options, and even will show you the art you are considering in a room. Its a great site, and often offers sales. Please click on logo to visit. ​and is full of colorful pages of my artwork. $17 plus shipping. Please click on link to purchase.